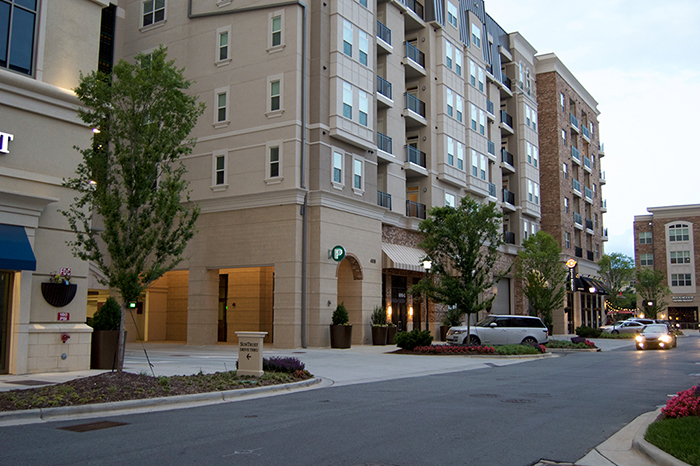 Not to be confused with Lake Norman staple Rusty Rudder, SouthPark’s Rusty Bucket is a relatively new option in the growing Sharon Square. 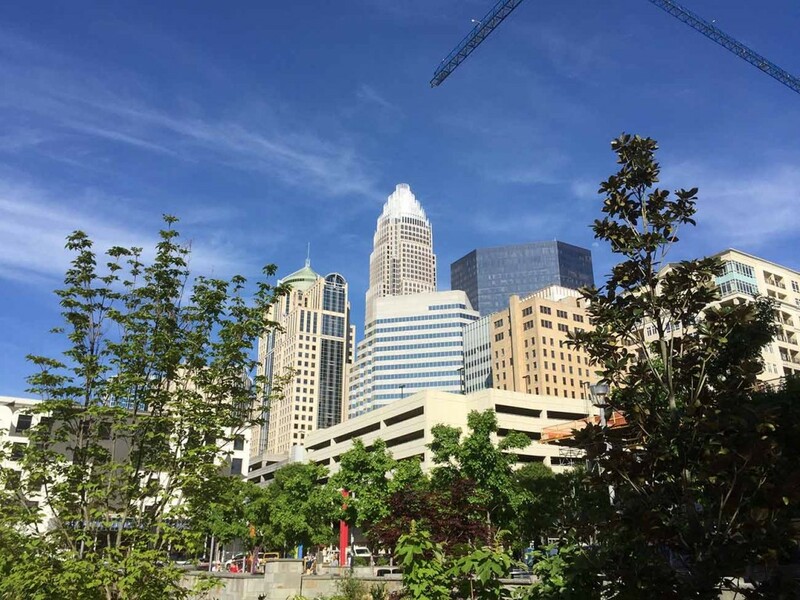 Open since November 2015, the American grill joins Dogwood Southern Table and Corkbuzz in the corner pocket that backs up to favorites like Whole Foods and Phillips Place. 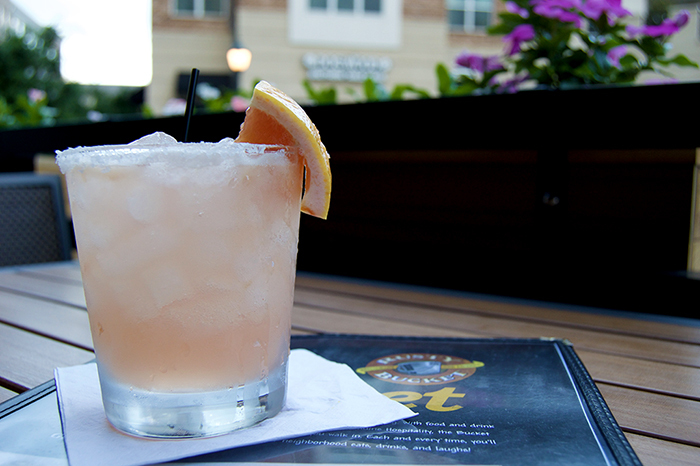 With a sizeable patio and daily happy hour, summer is the perfect time to check out Rusty Bucket. 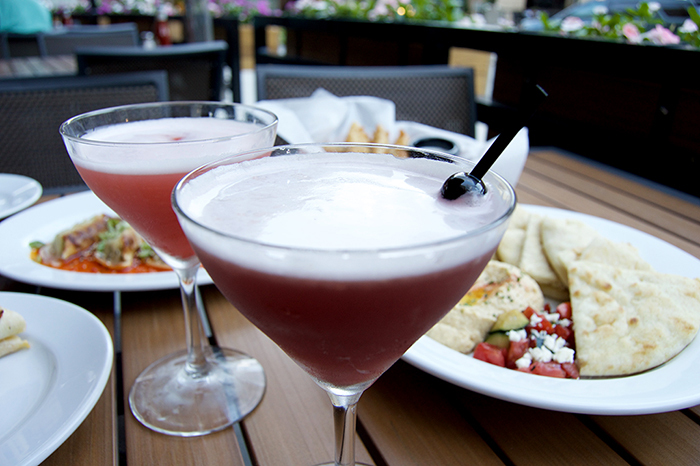 Is there anything better than sipping an icy cocktail under an umbrella during the hot summer months? 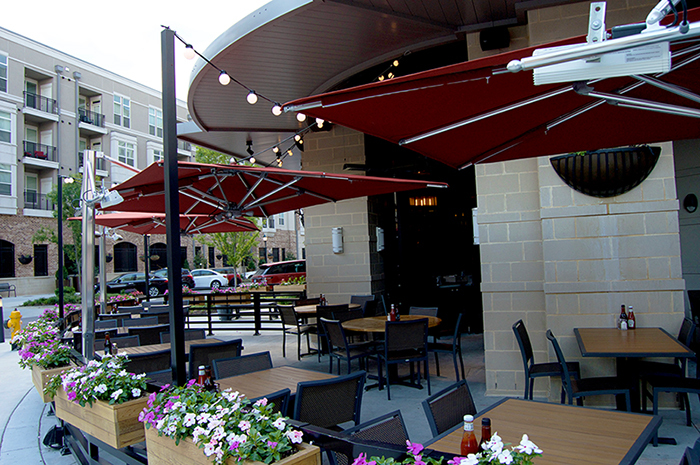 Rusty Bucket’s patio can hold 58 people without feeling like you’re sitting on top of each other. Tables are equipped with umbrellas, special lighting and a view of the Sharon Square fountain. Just look at all that space. (2) Their beer selection. You can go every day this summer and never drink the same thing twice. With 24 taps featuring everything from local brews to staples, Rusty Bucket offers 65 different beers. They also create craft cocktails from fresh squeezed juices. Agenda Pro tip: Gary’s famous grapefruit margarita is a house favorite, but I can’t get enough of the Hemingway Daiquiri. Rum, luxardo cherry juice, simple syrup and fresh squeezed grapefruit and lime juices combine for one of my summer cocktails. (3) Their parking — it’s a breeze. My biggest gripe with eating, drinking and shopping in SouthPark is the limited parking. You can order whatever you want at Cowfish and Chuy’s, because you’ll burn all the calories off with the walk back to the car. 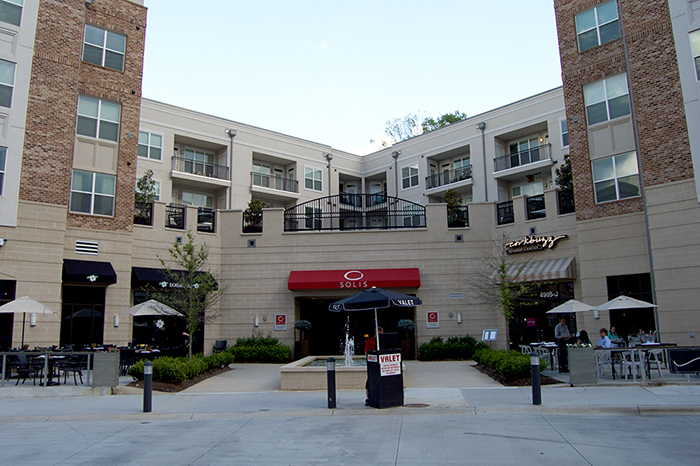 Rusty Bucket offers free valet parking and a public parking deck directly next to the restaurant entrance. Agenda Pro tip: It’s easy to park for dinner at Rusty Bucket and enjoy a the other Sharon Square offerings like grabbing a dessert wine Corkbuzz. (4) Their happy hour from 3 p.m. to 6 p.m. The specials are perfect for a late lunch/early dinner. 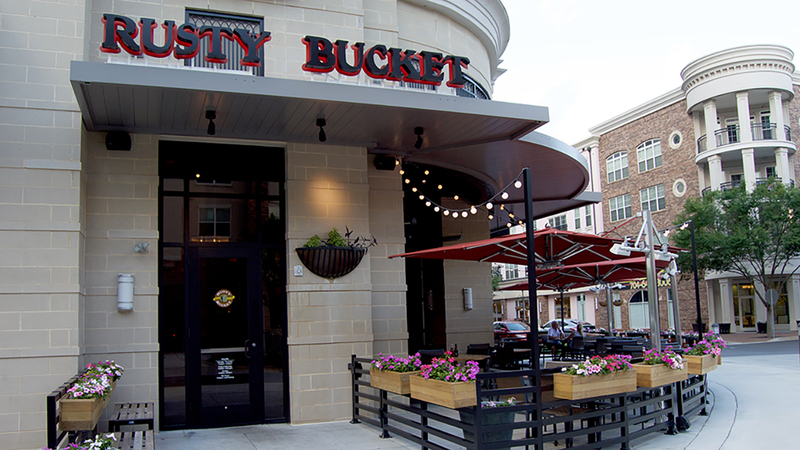 Monday-Friday, you can get half-price appetizers and pizza during Rusty Bucket’s happy hour. 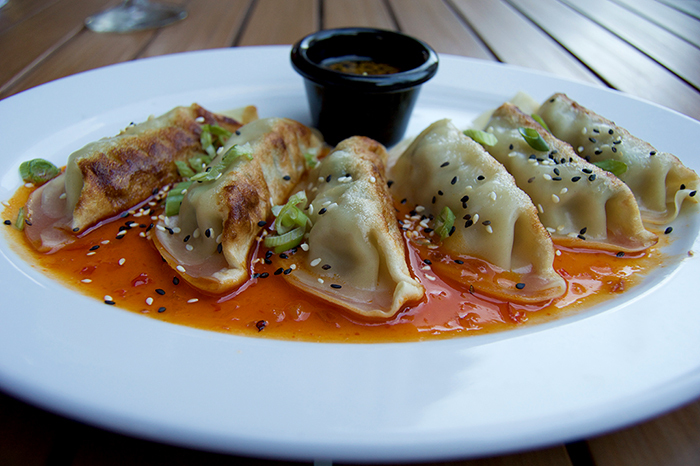 Agenda Pro tip: I’m always looking for a good deal and a good meal – the new pork potstickers are both. Seriously, they’re my favorite thing on the menu. (5) The summer’s signature dessert. Is summer really summer if you didn’t have strawberry shortcake? I think not. 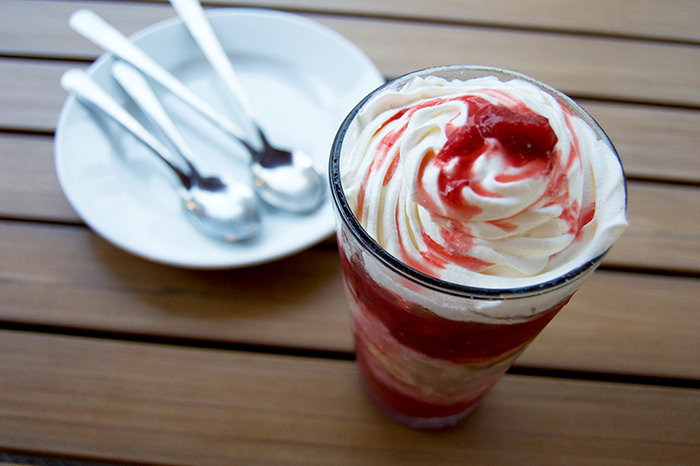 Rusty Bucket has strawberry shortcake on the menu through Labor Day, and it hits the spot. Layers of ice cream, biscuit and strawberries – what more could you ask for?